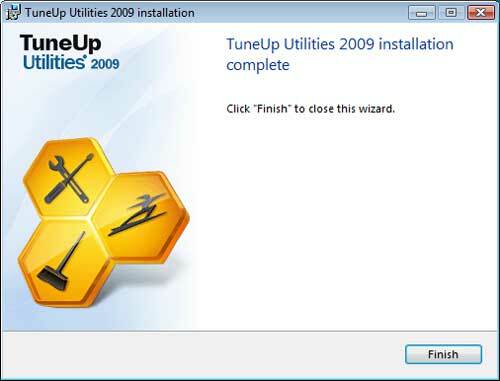 TuneUp Utilities 2009 is an easy-to-use system utility suite that provides quick and easy access to the most critical optimization functions and helps to cleaning out the registry file, streamline and tweak various areas of the operating system to improve PC performance. TuneUp Utilities 2009 comes with few of utility tools such as driver defragmenter, registry defrag, memory optimizer, speed optimizer, Windows registry cleaner, rescue center and startup optimizer to control the start up programs. In addition, it also comes with 1-Click Maintenance feature to keep the computer running at its peak performance level. Furthermore, TuneUp Utilities 2009 also allows users to upload it own art (BMP, JPEG, PNG) to be used in its place. Fill in the email address, then click Request Product Key button to register. An email will be sent to the registered email address with a license key or activation code in it for TuneUp Utilities 2009. 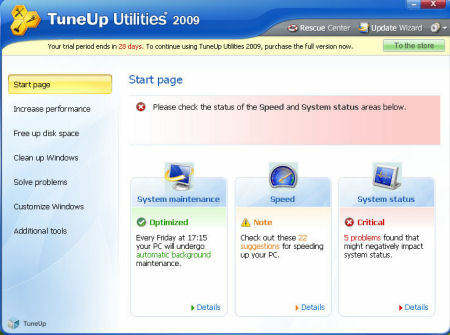 TuneUp Utilities 2009 support Windows 98, Windows ME, Windows NT 4.x+SP6+IE4, Windows 2000, Windows 2003, Windows XP, and Windows Vista (32-bit Windows Only).